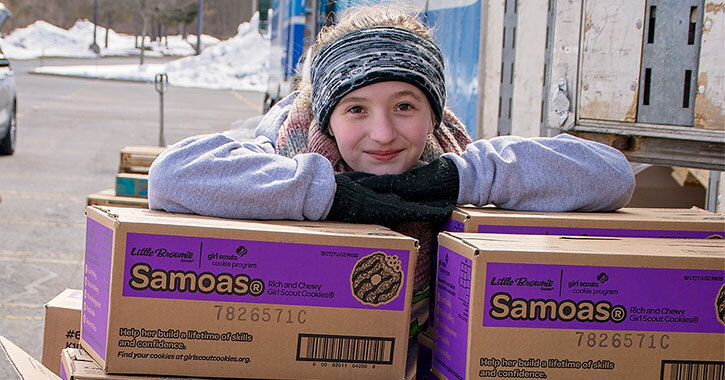 As mid-winter transitions into spring in Northeastern New York, many of us get excited for two things: warmer weather and Girl Scout Cookie Season. 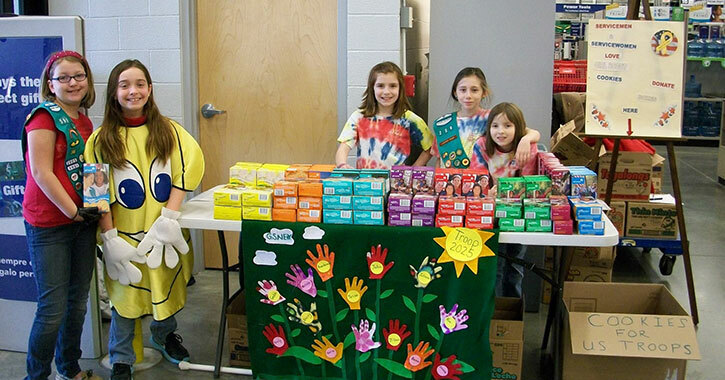 From February through April, local Girl Scouts participate in this national cookie selling tradition to raise money and learn skills that last a lifetime. In celebration of this delicious time of year, we've highlighted our 8 favorite reasons to buy Girl Scout Cookies (to reflect the 8 types sold by Girl Scouts of Northeastern New York). It's time to put your diet on hold and satisfy your sweet tooth with delicious Girl Scout Cookies. Are you a chocolate lover? Purchase a box of Thin Mints (a crisp wafer cookie with a chocolate coating and hint of peppermint) or Tagalongs (crispy cookies covered with chocolate and layered with peanut butter). Or, try one of the simpler, crunchier cookies, such as Trefoils (delicate shortbread) and Do-si-dos (oatmeal sandwich with a peanut butter filling). There are so many varieties, and these special snacks are only available for a limited time. Get one, two, or a few kinds, and unleash your inner cookie monster! You can also enhance the flavors by using the cookies in easy, mouthwatering recipes provided by Taste of Home. From Samoas-based ice cream to Toffee-tastic cheesecake, there are tons of recipes to try. Chances are you know someone whose daughter will be selling these popular cookies. It might be a family member, a friend, a neighbor, or someone you work with. No matter who it is, your purchase from them will support the local community. In fact, 100% of the funds raised by regional Girl Scouts stay in the area and help subsidize the costs of the organization’s programs and camp registration costs. This ensures that Girl Scouting remains affordable for every girl who would like to get involved and make a difference. 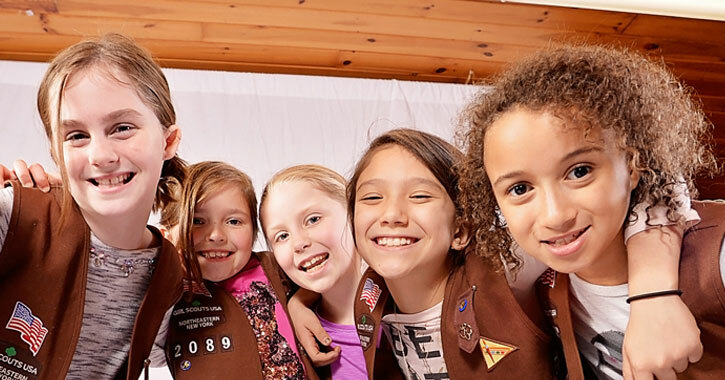 Recognized as the largest girl-led entrepreneurial program in the world, the Girl Scout Cookie Program teaches girls about goal setting, decision making, money management, people skills, and business ethics. When you buy cookies from Girl Scouts, you're furthering this great cause and giving girls a taste of what it takes to be successful. This is more than a fundraiser, it's an experience that build girls of courage, confidence, and character, and powers them into the future. Cookie sales began over 100 years ago (circa 1917) as a way for troops to finance activities. The original Girl Scout Cookie recipe was a simple sugar cookie, but as sales grew over the years, the organization sold more varieties. Since the mid-20th century, it’s become a national tradition as we celebrate the return of old favorites each year and eagerly await to try new types. But when does Cookie Season start, and when is the last day to buy Girl Scout Cookies? The start and end dates actually vary by region. 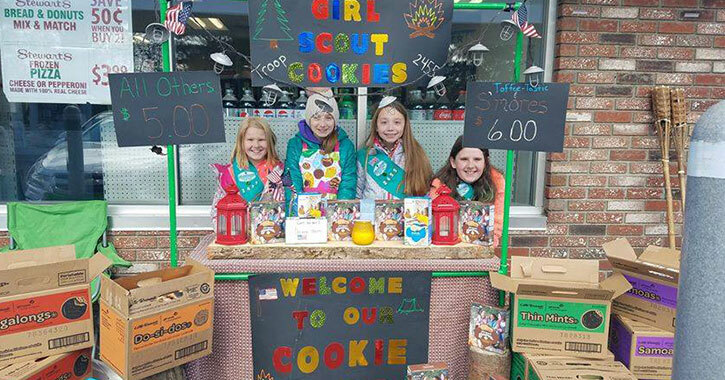 For 2019 in Northeastern New York, the tradition begins February 8 with initial cookie sheet sales, and then cookie booth sales open on March 29 and close April 28. There's a certain buzz and feeling of nostalgia in the air when cookie sales are happening. 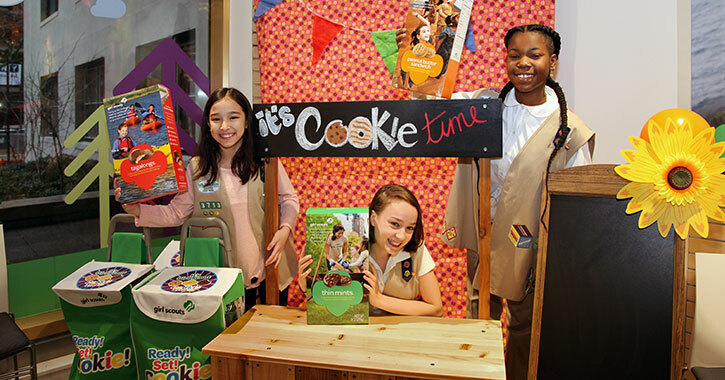 Some people can't wait to be the first in line to buy boxes of classic cookies (like Thin Mints and Trefoils/Shortbread), while others remember the impact cookie selling had on their lives when they were a Girl Scout. Many girls who have taken part in this amazing program look fondly upon the experience and continue to support it, only this time as a buyer. During Cookie Season, it's almost impossible to buy just one box. A lot of us have more than one favorite, and when a cookie craving creeps up on you, they're the perfect bite-size solution. Each type comes in a colorful rectangular box that's easy to carry, whether you're snacking alone at home or visiting friends and family. Even your coworkers will appreciate a cookie or two if you bring extras to the office. Gluten-Free or Vegan? No Problem! There are over 11 types of Girl Scout Cookies, and availability depends on which region you're purchasing them in. To accommodate dietary needs and allow most people to enjoy these tasty treats, some of them are vegan or gluten-free. Out of the eight sold in Northeastern New York, Thin Mints are vegan (contain wheat and soy) and Toffee-tastic are rich, buttery, and gluten-free (contain milk and soy). Both cookies fulfill some dietary needs and are just as delectable as the others. Wondering where you can get your hands on a box of Girl Scout Cookies this year? Check out the organization's Cookie Finder, type in your zip code, and the nearest cookie booths will appear. Pick a location and get ready to enjoy your favorite cookies!